. : Comments on Grooming :: Ski XCOttawa.ca :: Skiing in Ottawa and Gatineau Park :. 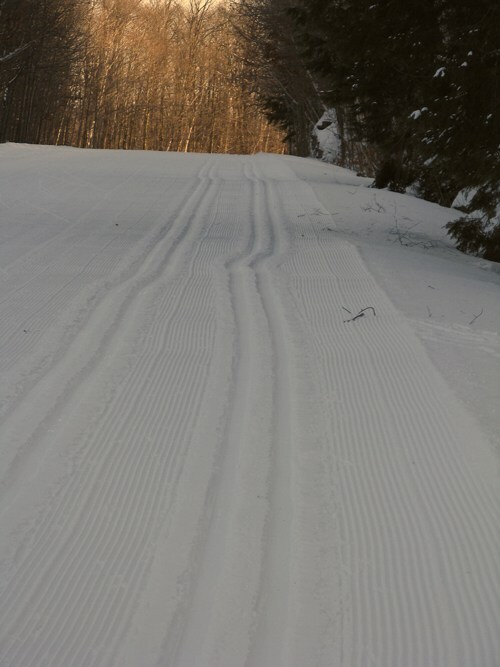 I would like to add some comments about this year’s grooming on Gatineau Park ski trails. In the Winter I am fortunate to be able to ski daily in the park and have done so for more than a decade. I’m very discouraged by Demsis’ low standards of the last 2 years. I am in my fifties, learned to ski as an adult and might be considered a very good skier if compared to your average group of piano teachers. Although I love skiing more than any other activity, I don’t feel my balance is up to the challenge of skiing on ice and badly groomed hills. The grooming is so unpredictable these days, that it is sometimes tempting to simply do something else. I have recently started snowshoeing and running in the Winter, two activities I would never have previously considered during the prime ski season. 1. 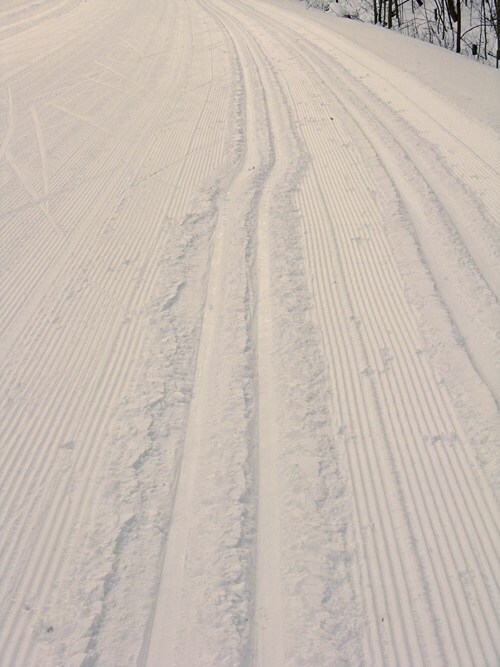 Grooming is infrequent: Most often only a few trails and bits of parkway are groomed on a given day. The parkway loop is rarely completed at one time, primary trails are not usually groomed in a timely fashion after heavy use (weekends) or after storms. Sometimes only the skate lanes are repaired. 2. Grooming is completed too late in the day. There used to be fresh tracks by 7:00 a.m, not 1:00. 3. The web site does not in any way reflect the state of the trails. It is not factual, up to date or honest. The “green check mark” is supposed to denote that grooming is “good or very good”. In reality, the trails are frequently not yet groomed when the conditions are posted. Sometimes they are half groomed. Sometimes they are terrible. Sometimes they are excellent. 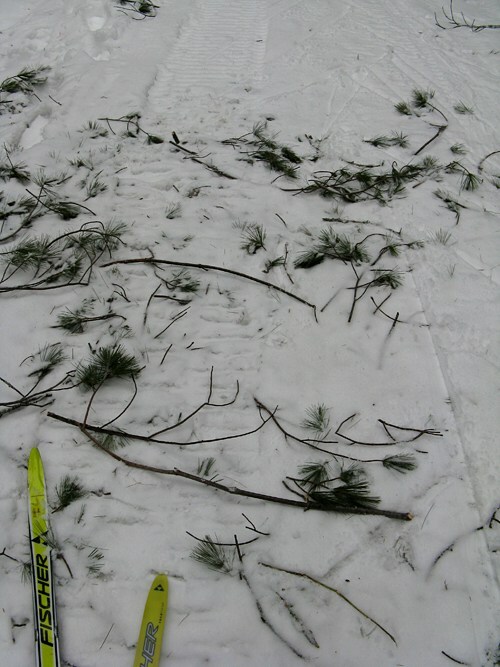 The green check mark is a joke; only a freshly groomed trail can be in top condition. 4. Demsis seems unwilling to deal with the damage from rain and freezing rain. Nakkertok has figured it out and has beautiful trails the day after a storm. 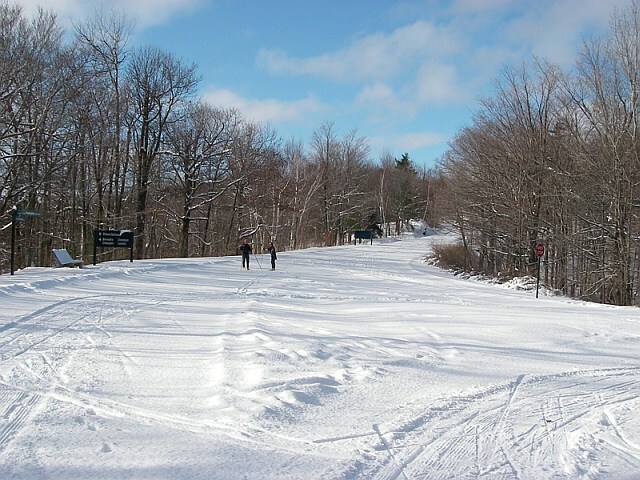 I also recall some amazing skiing in Gatineau Park a couple of years ago immediately following our yearly January thaw. Over the course of today’s ski, I met three different friends. Each told me a unique story involving poor ski conditions! If conditions do not improve, Demsis will find few people buying passes next year. Shallow, crooked classic tracks on downhill. Crooked Classic tracks between P5 and Mica. Debris just run over by snowmobile and groomed in. Good to Very Good top of Fortune Parkway - single snowmobile lane?